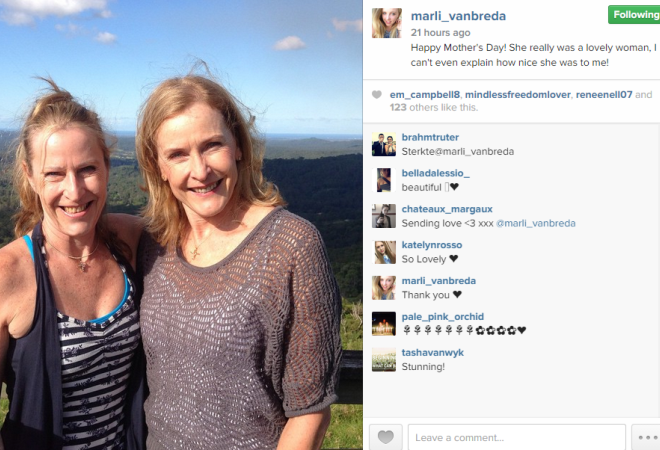 Axe attack survivor Marli van Breda took to Instagram yesterday to pay tribute to her mother Teresa. Teresa and her sister, Narita du Toit. The 16-year-old's mother, father Martin and brother Rudi was killed in a brutal axe attack that left her severely injured. Her brother Henri survived. 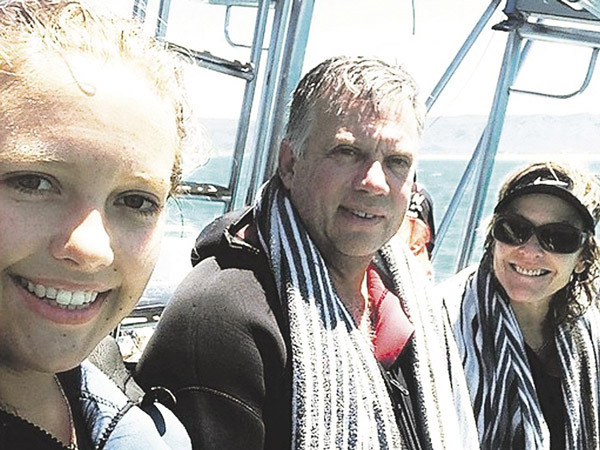 Two weeks ago, the Somerset West schoolgirl honoured her family in photographs captioned "The people that i love the most'". 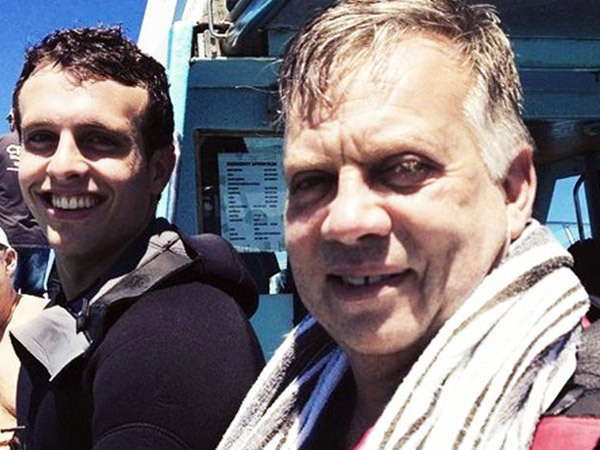 One of the pictures showed Rudi and Martin van Breda together smiling. The second photograph showed Marli standing alongside her parents. She made no mention of Henri, the only other surviving member of the van Breda family. The 16 -year-old was recently released from a rehabilitation centre where she was recovering from an axe wound to her head. She lives with family friends in Somerset West while Henri with his uncle Andre du Toit. Martin van Breda (55), Teresa (54) and Rudi (22) were killed inside their upmarket home on the De Zalze Golf Estate.